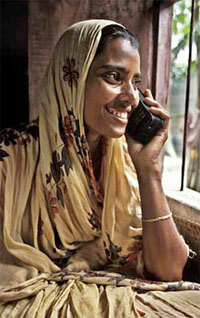 Here are some special stories about how mobile and mobile technology is being used for social impact. If you would like to have your news on the site, please contact us HERE! Buying "A Minute of Silence"
Very often we tend to focus on the newest, high-technology aspects of mobile marketing. Somehow it seems that the latest features must be the most important for attracting consumers. But every once in awhile we see a campaign that reminds us that in fact, marketing is all about engaging people at an emotional level - this is what really counts. 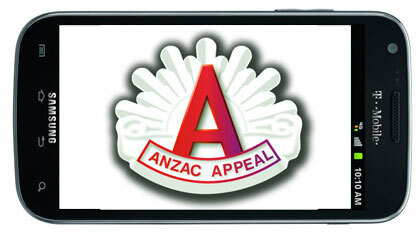 Take a look at this campaign that was put together to help drive donations for the Anzac Appeal in Australia this year. The WSYA selects and promotes outstanding mobile and new media projects from young people that have the potential to change the world through technology. This can be a great opportunity for someone in your young network, pass the information to them! Golden Gekko University is collaborating with Oxfam Intermón, an international non-profit organization, which is determined to change the world by mobilizing the power of people against poverty. They are working together for the creation and development of a survey app for Oxfam’s field workers that will allow them to conduct surveys, analyze and share data electronically. The Salvation Army has reported that its app “Daily Cup” has been downloaded 190,000 times in 6 weeks from the GetJar app market place, and has generated a high level of consumer interaction. The campaign is intended to use the mobile device to allow the Salvation Army to forge relationships with younger donors, with the aim of sustaining these relationships as they grow older. At MobiAD News, we usually look primarily at the business impact of mobile marketing and mobile services. But there is another trend, perhaps even more important, which is the critical role that mobile can play in reaching the billions of people in emerging regions that are not yet connected via internet. This week Ferhan and Jim Cook had the pleasure of speaking with Kazi Islam, CEO of Grameenphone IT about the amazing projects they are working on in Bangladesh. In this interview, Kazi talks about his vision of how mobile can be used to address issues such as health and education in emerging nations, as well as the important role that mobile advertising will play. Kazi will also be a keynote speaker at MLOVE, taking place June 23-25 in Berlin. The MMA has released its latest “Consumer Briefing” report into mobile donations in the UK, French and German markets. The report shows that in some countries, mobile is already the most popular way for people to donate to a charity. Around the world, people have been touched by the devastation resulting from the earthquake in Haiti, and an outpouring of donations has resulted. And in a growing trend, many relief organizations have setup very effective mobile donation systems to help reach a wider set of potential donors and make it easier to help the desperate people of Haiti.